On January 31, 2000, from complication of Leukemia at Duke University Hospital in North Carolina. Originally from Arlington, Virginia, Lillian graduated from Washington-Lee High School in 1947 and at age 21 in 1951, became the first woman in the country to hold her masters license in plumbing. She made well known the family plumbing business Baumbach Plumbers of Arlington, VA. Lillian lived in Fairfax, VA from 1963 until she relocated to Smithfield, NC in 1989. Survivors include her mother, Louise Carter Baumbach of Heathesville, VA; daughters, Wendy J. Stafford of Smithfield, NC, Lydia J. North of Burleson, TX; sister, Mary Hubbard of Front Royal, VA; brothers, William J. Baumbach II and Andrew B. Baumbach of Fairfax Station, VA; and five loving grandchildren. Her family and friends will dearly miss her. In lieu of flowers, please send donations to the National Leukemia Society and blood donations to the Red Cross. Visitation 2 to 4 p.m., Thursday at JONES-ASH FUNERAL HOME, 3735 Ridge Rd., Heathsville, VA, 1-804-580-3222, where service will be held at 11 a.m., Friday. Interment Christ Church, Irvington, VA following service. Lillian Baumbach Jacobs, 70, a former Fairfax resident who made international news in the early 1950s as a certified master plumber, died of leukemia Jan. 31 at a hospital in Durham, N.C. The idea of a diminutive figure wielding a large, cast-iron pipe wrench in the labor-intensive world of plumbing was treated as a novelty and led to newspaper and magazine articles and trips to New York City for television appearances. Born in Washington, Mrs. Jacobs grew up in Arlington, where she graduated from Washington-Lee High School. She learned details of the trade working summers in her father's Arlington plumbing business and tagging along on service calls. At 21, she passed the master plumber's exam with one of the highest scores in her class and was said to be the first woman in the country to receive a master's license. Her story and picture were carried by wire services, and soon, she received hundreds of letters from around the world. The correspondences, some simply addressed "Pretty Plumber," contained marriage proposals and queries on technical plumbing problems. A U.S. Army infantry company stationed in Korea during the Korean War elected her as its pinup girl. By 1952 she was married and working in the front office of her father's plumbing shop. Instead of service calls, she mainly handled estimation work for new kitchens and bathrooms. She lived in Fairfax for 26 years before moving to Smithfield, N.C., in 1989. Her husband, George W. "Bill" Jacobs, died in 1995. Survivors include two daughters, Wendy J. Stafford of Smithfield and Lydia J. North of Burleson, Tex. ; her mother, Louise Carter Baumbach of Heathesville, Va.; a sister, Mary Hubbard of Front Royal, Va.; two brothers, William J. Baumbach II and Andrew B. Baumbach, both of Fairfax Station; and five grandchildren. Lillian Baumbach Jacobs, 70, who in the early 1950s became the first woman to hold a master's license in plumbing, died Monday at Duke University Hospital in Durham, N.C., from complications of leukemia. Women plumbers were so unusual at the time that the Washington Evening Star dubbed Jacobs ``the pretty plumber," and the Arlington native attracted national attention. The subject of local newspaper articles and television broadcasts, Jacobs also was featured on the network TV program ``What's My Line" and radio shows, according to articles published at the time. She also was the subject of a Boston Globe editorial comic strip. During the Korean War, an Army infantry company voted Jacobs its pinup girl, and she became the pen pal of more than 250 men in the United States and overseas, most of them in the military. She enclosed in her letters a photograph of herself holding a pipe wrench, her brother William Baumbach II said. Jacobs' father, William Baumbach, became a millionaire with his plumbing company W.J. Baumbach, Inc., which he started in 1928. Jacobs grew up helping her father practice his trade. In 1951, at age 21, Jacobs earned an Arlington County license as a master plumber, taking the examination with six male plumbers, only two of whom passed. The license is needed to run a plumbing business. She was president of Baumbach Plumbers from 1976 until her retirement in 1989, when she moved to Smithfield, N.C., where she lived until her death. She is predeceased by her ex-husband, George W. Jacobs. Survivors include her mother, Louise Carter Baumbach, of Heathsville, Va.; two daughters, Wendy J. Stafford, of Smithfield, N.C., and Lydia J. North of Burleson, Texas; a sister, Mary Hubbard, of Front Royal, Va.; two brothers, William J. Baumbach II and Andrew B. Baumbach, both of Fairfax Station; and five grandchildren. Memorial services will be held at 11 a.m. today at Jones-Ash Funeral Home, 3735 Ridge Road, Heathsville. Burial will follow at Christ Church, 209 Christ Church Road, Irvington, Va.
< error below "Smithfield, Va." should read Smithfield, NC. Lillian Baumbach Jacobs, 70, the country's first woman master plumber, died Jan. 31 from complications of leukemia at Duke University Hospital in Durham, N.C.
She was born Arlington and graduated from Washington-Lee High School in 1948. 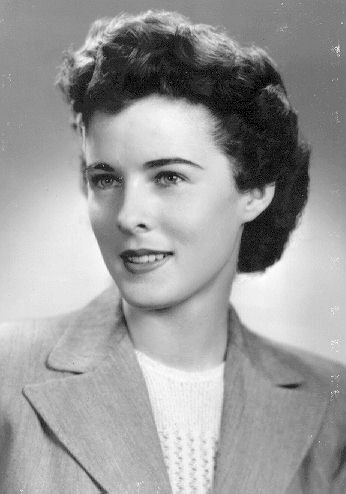 In 1951, at age 21, she became the first woman in the country to hold a master plumber's license. She helped make the family business, Baumbach Plumbers of Arlington, well-known. With her renown as a master plumber in the 1950s, she became the pen pal of more than 250 men in the United States and overseas. An infantry company in Korea elected her as its unofficial pinup girl. She also appeared on the television game show "What's My Line?" "One of her favorite experiences on-air was her interview with Walter Cronkite," said her brother, William Baumbach II. Mrs. Jacobs lived in Fairfax from 1963 until she moved to Smithfield, N.C., in 1989. Survivors include her mother, Louise Carter Baumbach of Heathesville, Va.; two daughters, Wendy Stafford of Smithfield, Va., and Lydia North of Burleson, Texas; a sister, Mary Hubbard of Front Royal, Va.; two brothers, William Baumbach II and Andrew Baumbach, both of Fairfax Station; and five grandchildren. Visitation hours are from 2 to 4 p.m. today at Jones-Ash Funeral Home, 3735 Ridge Road, Heathesville, Va. A funeral service is scheduled for 11 a.m. tomorrow at the funeral home, with burial following at Christ Church, 209 Christ Church Road, Irvington, Va.